They offer a handful of wide-ranging tasting experiences that are closely tied to products that come off of their nearby farm. Most every moment I spend in wine regions I’m on the hunt. Of course I’m looking for excellent wine, but when I’m on the ground somewhere I’m searching for brilliant tasting experiences too. They come in every shape and size, offering everything from just wine, to light pairings, all the way to full on meals accompanying wines. I just spent 10 days split between Napa Valley and Sonoma County; and on this trip alone had a huge variety of experiences. Many of them were quite good and well worth mentioning. One, however, stood above the pack. 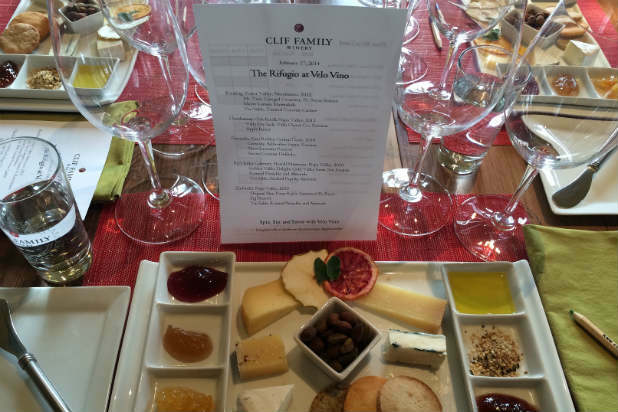 To say my tasting at Clif Family Winery was a homerun would be to sell the experience short. The tasting at Clif Family Winery is a Hall-of-Fame-caliber tasting, easily in the top five tasting experiences available in Napa Valley. The folks at Clif Family are the same who started Clif Bar. Their winery tasting room, “Velo Vino,” sits right on highway 29 in St. Helena. From this room they offer a handful of wide-ranging tasting experiences that are closely tied to products that come off of their nearby farm. Clif Family Winery is a boutique operation making less than 5,000 cases of wine in total. Their involvement in the community with a CSA program, cycling tours, and the like only add to their broad appeal for the consciously minded among us. As for the wine tastings, they offer a quartet of options that range in scope and are priced from $15 to $50. I took part in the Rifugio tasting, which was simply marvelous. Each wine I tasted was expertly paired with small bites. Here’s the rundown of the tasting. The fruit for this wine came from the Potter Valley section of the appellation. 200 cases of this entirely varietal wine were produced and it sells for $22. The nose of this Riesling has floral notes highlighted by bits of spice. Asian pear highlights a light and lovely palate. White Pepper and gingerbread spices are part of the memorable finish. This was paired with a Mt. Tam cheese and Meyer Lemon Marmalade. The match was sublime and just melted in my mouth. A savory cookie was also available as a second and quite different pairing option which also worked nicely. This Napa Valley wines stands as Clif Family’s first-ever release of chardonnay. It was aged for nine months in an even split of new and used oak. 350 cases were produced and it sells for $22. Bits of tropical fruit and Madagascar vanilla bean light up the nose of this Chardonnay. The palate is loaded with apple, pear and hints of peach. There is a purity of expression that marks all these flavors and leads to a clean, crisp and mineral-laden finish. This chardonnay was matched up with Vella Dry Jack Cheese and apple butter. If you have ever liked (or wanted) to melt cheese on your apple pie, this combo brought that to mind most delightfully. In addition to grenache (85%), this wine has some zinfandel (15%) blended in. It was aged in neutral oak for 16 months. 250 cases were produced and it sells for $35. Wild strawberry aromas lead an expressive nose. Purple and red fruit flavors mark the agile but full flavored palate along with a core of spices. Black teas and savory herbs are present on the long and persistent finish. There were two pairing options for the grenache. One was a Carmody, Bellwether Farms cheese and pluot preserve. It worked quite well. However, the combination of bread dipped in olive oil and then savory coconut dukkah was a tasty revelation that I repeated numerous times. This selection marks the first time they’ve made wine from their estate property. In addition to cabernet sauvignon (90%), some merlot (10%) was blended in. It was aged for 22 months in 85% new French oak. 500 cases were produced and it sells for $50. Cherry aromas explode from the nose of this Mountain cabernet. The palate is layered, intense and proportionate in nature with red berry fruit flavors and spices galore. Graphite, herbs and earth lead a long, dry finish. This is a well-structured cab produced with Old World intent. It’s delicious now but it’ll age well for a decade. It was paired with Golden Valley Delight cheese as well as smoked paprika almonds. Both worked nicely. This wine is made up entirely of zin. It was aged for 16 months in French oak. 450 cases were produced and it sells for $32. The nose shows of zippy berry fruit aromas such as red raspberry and strawberry. Jam flavors line the palate along with black pepper and vanilla bean. Those elements all continue on the proportionate finish. This is a classic Zinfandel that never comes close to going over the top. It was paired with blue cheese and plum preserves as well as a savory pistachio cookie. Both worked, but the cheese and preserves combo was my pick of the two. After all the wine and food pairing I was offered, my choice of coffee which was accompanied by homemade biscotti and a couple of different chocolate treats. It was a fine way to cap off a memorable tasting. 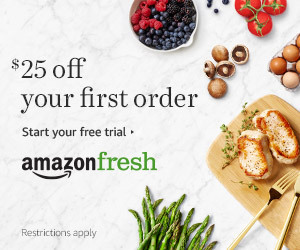 This option has a price of $50 and is available by prior reservation. Check their website for further details. It’s hard to come close to estimating how many tasting rooms I’ve been in over the years, but it’s in the thousands to be sure. One thing I am quite certain about, Clif Family Winery offers warmth, hospitality, excellent, fairly-priced wines, and unique pairing experiences. What that all adds up to is one of the very best tasting experiences in Napa Valley. Next time you find your way to Napa, Clif Family Winery should be on your very short list of must-visit producers. It would be impossible for me to recommend them strongly enough. Visit them first, thank me later. I look forward to revisiting them myself on my very next trip to Napa!